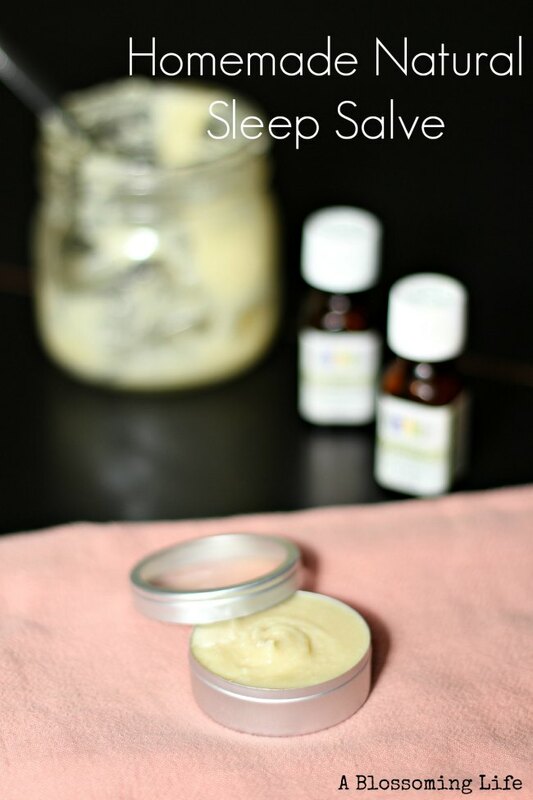 This salve helps you relax, fall asleep faster, and sleep better through the night. I first noticed the amazing benefits of essential oil with sleep when I would rub lavender essential oil on my feet before I went to bed. It helped me sleep better though the night and I was less likely to wake up and eat haha. But seriously… I almost always would wake up at 2 or 3 am to eat a snack. 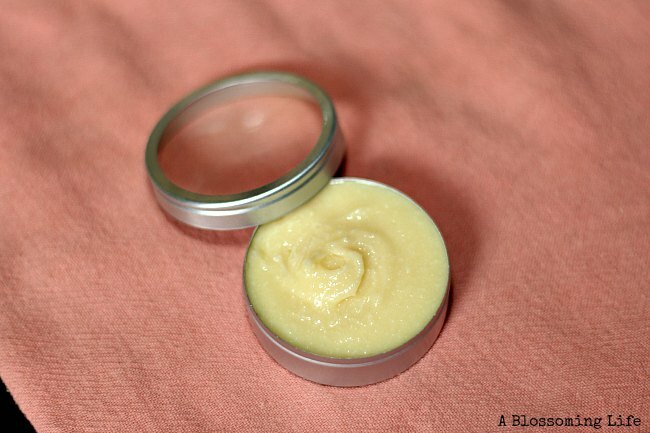 This salve includes nourishing and moisturizing ingredients like coconut oil and shea butter. Also, it includes essential oils to help your relax and fall asleep. Lavender essential oil calms, increases circulation, and helps induce sleep. Cedarwood essential oil is an antiseptic, anti-inflammatory, and sedative. Directions: Add a 1-2 inches of water to a medium size pot and bring to a boil. While waiting for water to heat, add first 4 ingredients to a mason jar or heat proof glass. Place mason jar into water and turn heat down to simmer. Stir occasionally, until ingredients have melted. Remove mason jar from the water (use a towel or heat pad) and allow to cool completely. Once cool, mix in essential oils and place in container like this one. 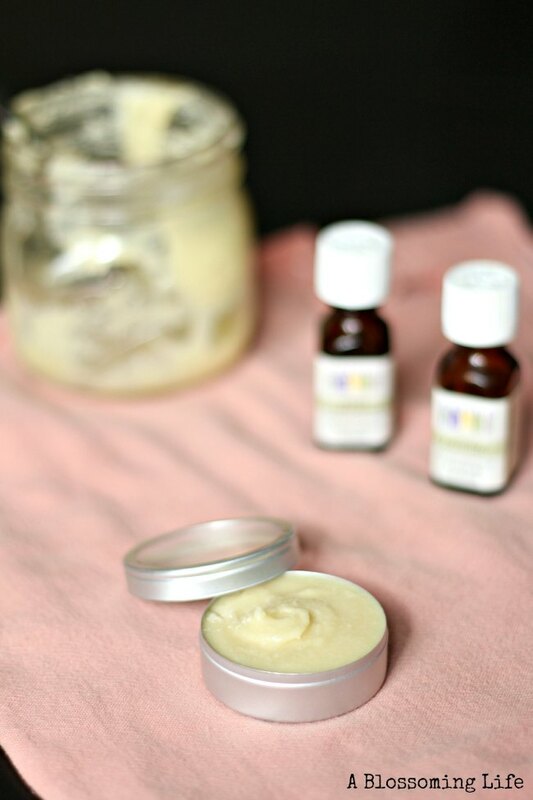 To use: Before bed, slather on dime size amount of the salve onto the bottoms of your feet, wrists, or chest. Snooze like a baby. Pregnant women should avoid using cedar wood essential oil. They are differing opinions on the safety about using lavender essential oil during pregnant. Always consult your physician before using. Have essential oils helped you sleep? 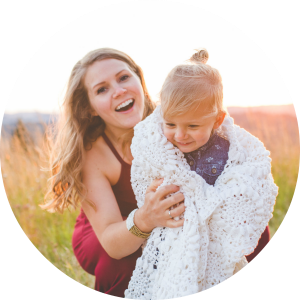 This post contains affiliate links to help support this blog. I receive a small compensation for products purchased through this site at no extra cost to you. I love your website and admire all this ‘recipe-making’ you are doing! Thanks SO much for sharing with us! Thanks Cheri, that is so sweet of you! Love the encouragement! Loved using this recipe with my oils! Could I use this on my kids? Always trying to find ways to get them to sleep better. Is it safe for a nursing mom to use this? How about babies? I would consult a MD or an expert in essential oils. I’m not positive. Lavender is suppose to be safe to use on babies but in low quantities. So this concentration of lavender would probably be too high for babies. How much does this recipe make (Just asking so I know how many little tins/jars will I need)? Do you have other options to replace cedarwood? Hey Susan. I do not. You could always leave it out and just use lavender since lavender helps calm and relax you which in turn can help you sleep. Hi Amy, will surely be trying this. Looks good enough to use as an after bath overall body butter yoo. Could rose geranium be subbed for the cedarwood essential oil?